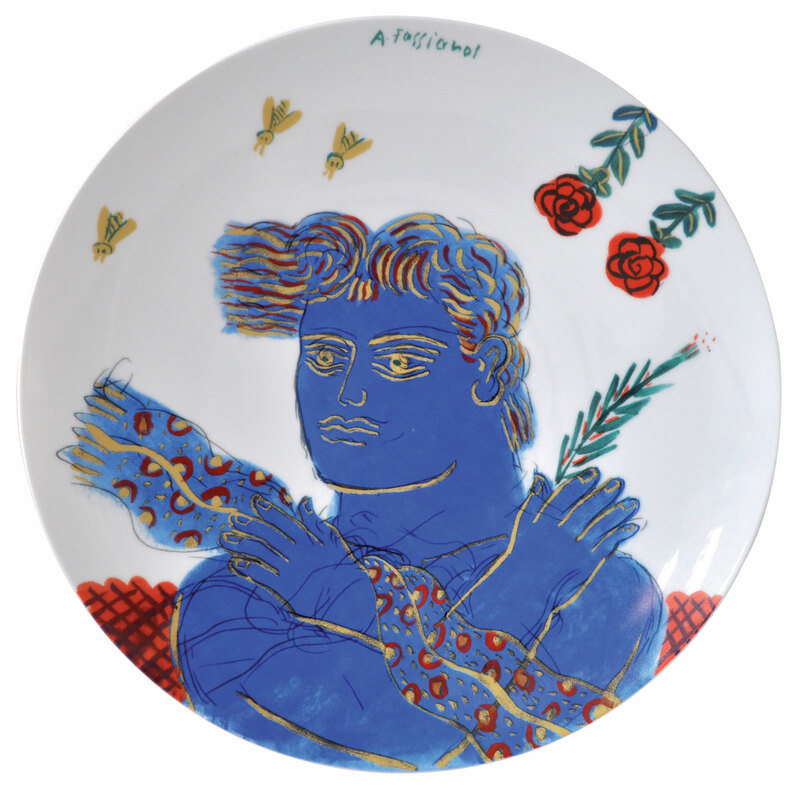 "I've always loved ceramics, especially ancient Greek pottery. I'm Greek, so I can't help but be influenced by the history of my country. When I was a boy, I lived in a house surrounded by statues of sea gods, they were planted in the earth up to their torso. 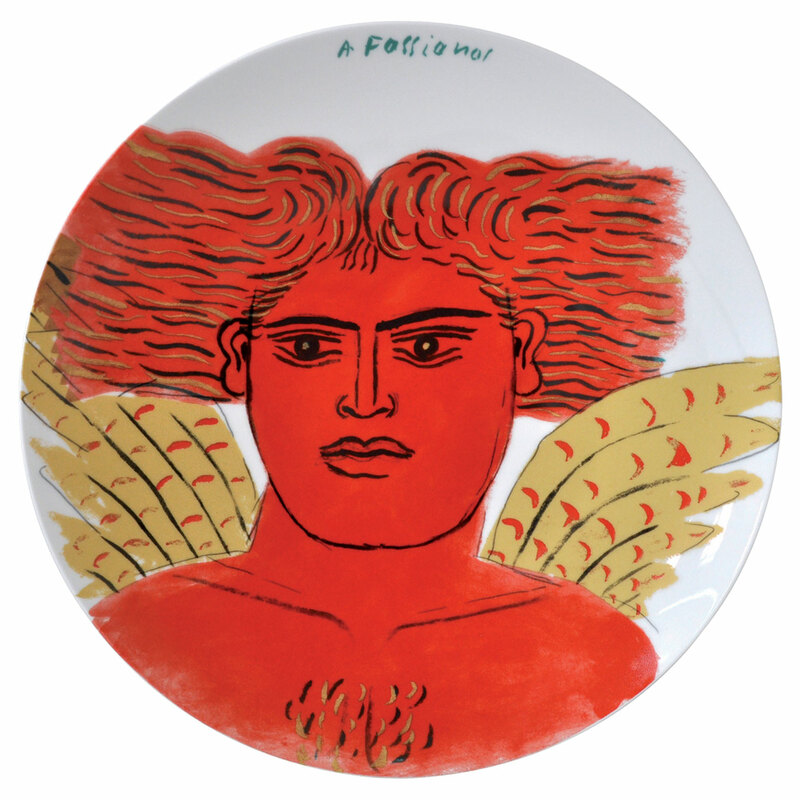 As children,..."
"I've always loved ceramics, especially ancient Greek pottery. I'm Greek, so I can't help but be influenced by the history of my country. When I was a boy, I lived in a house surrounded by statues of sea gods, they were planted in the earth up to their torso. As children, we thought they were giants and played among these vestiges of antiquity. 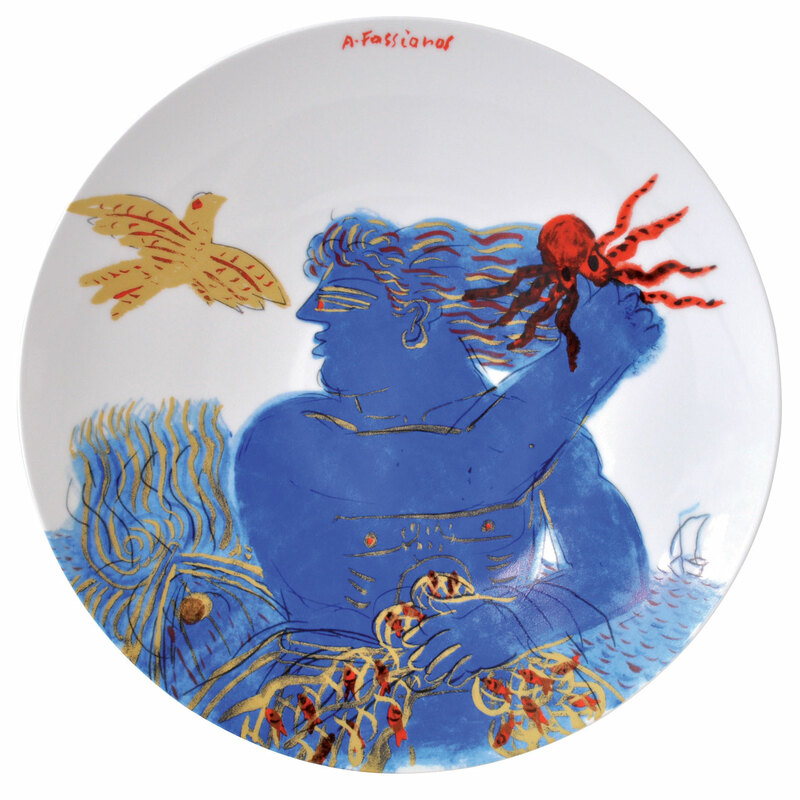 Like my paintings, my plates feature Greek gods from mythology or characters from Greek history. 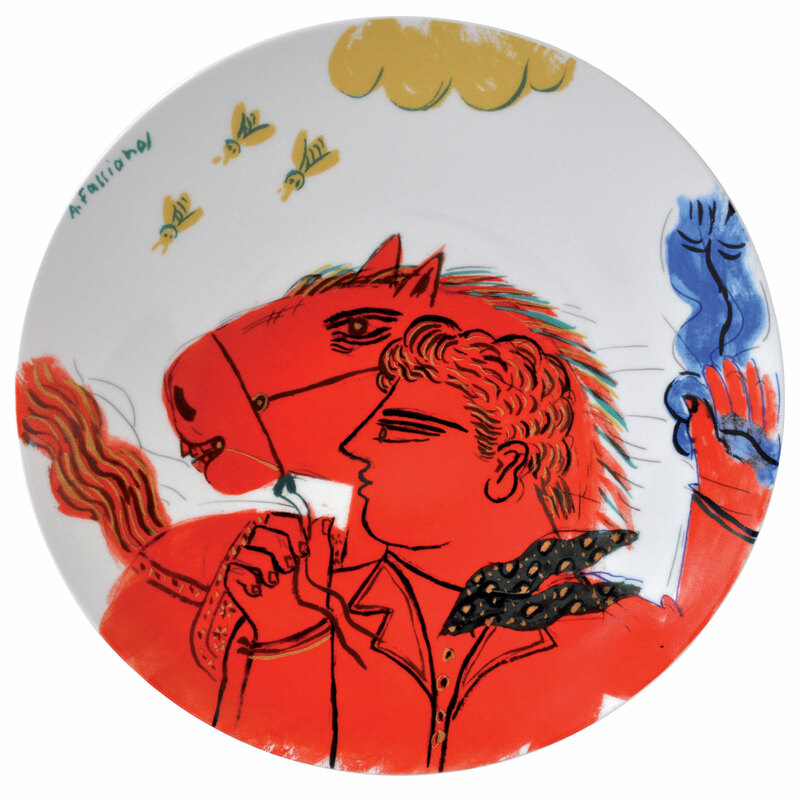 I enjoy representing Hermes, Neptune, Icarus, Demeter and Pan, not to mention Alexander and his horse Bucephalus, in their natural environment rather than as divinities. In this, I am following tradition. I use colors that I love: red for fire, blue for the sea and gold for the glittering background of a Byzantine icon. Set against the porcelain, my drawings looked even brighter. Its transparency makes them look even more luminous and that's what pleases me." A Greek artist born in 1935, Fassianos studied painting at the studio of Yannis Moralis, a Greek painter who was prominent in the 'Thirties. 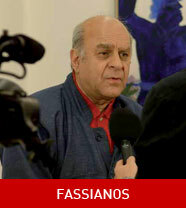 In 1962, Fassianos got a scholarship to attend the Ecole des Beaux-Arts in Paris. One can recognize his paintings, which reflect the influence of his native country, from their massive figures with flowing heads of hair, often shown in profile, and their monochrome treatment. 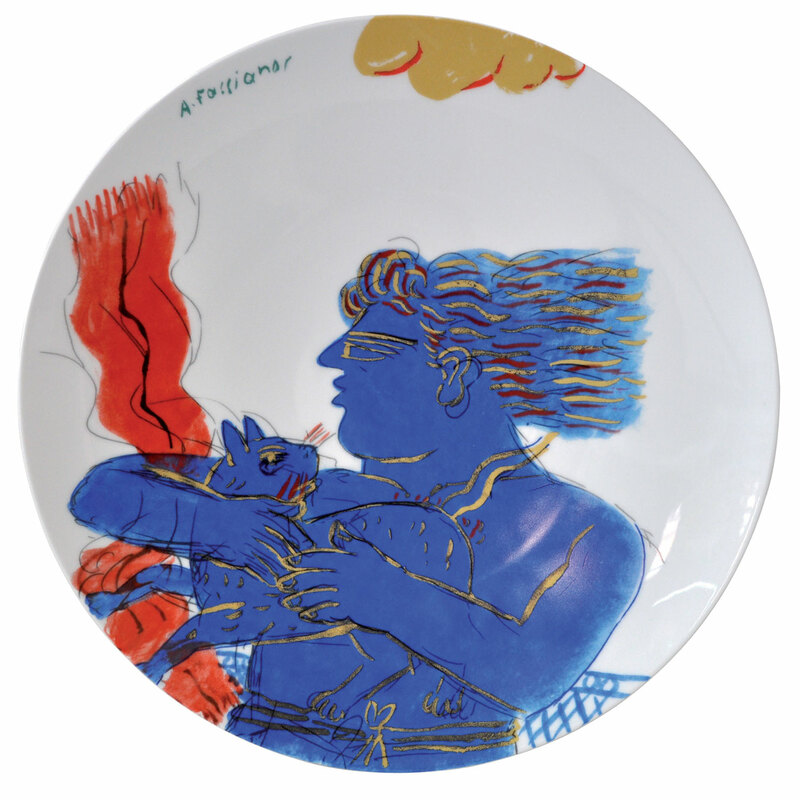 One of Greece's most prominent artists, Fassianos produces work that is moving as well as fascinating; despite the seeming naivety of his images, the artist challenges today's world by taking inspiration from the past. Featured in exhibitions at galleries worldwide, he not only paints in oils but also does prints, drawings and sculpture, and has enjoyed a long career that has brought him international recognition. 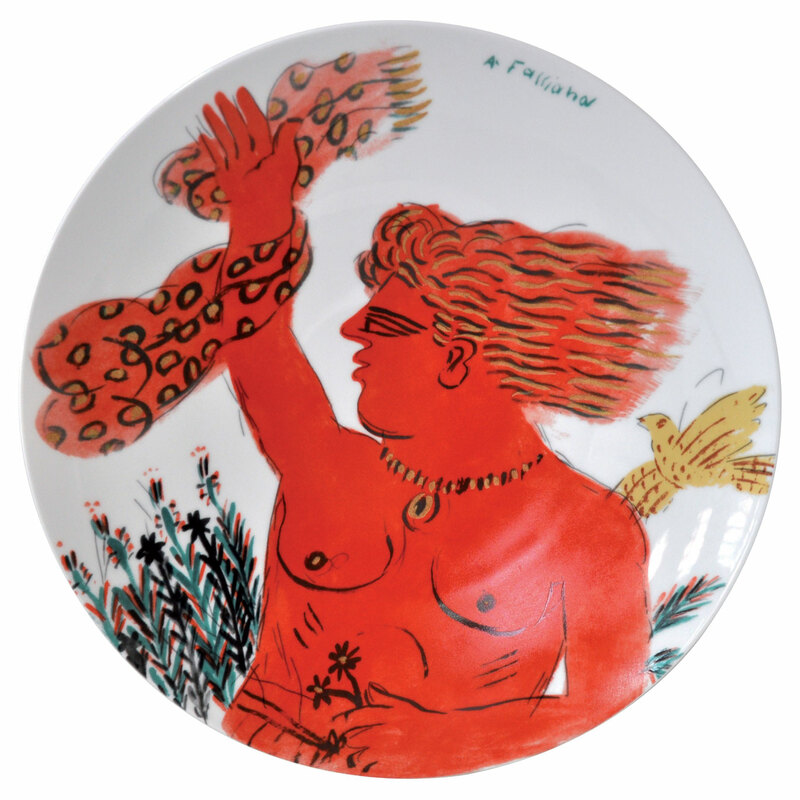 A maverick that does not belong to any particular current, Fassianos continues to depict our world and his world with as much joy and energy as ever. He has lived 35 years in Paris and today shares his time between Athens and Paris and the many places his exhibitions takes him to.